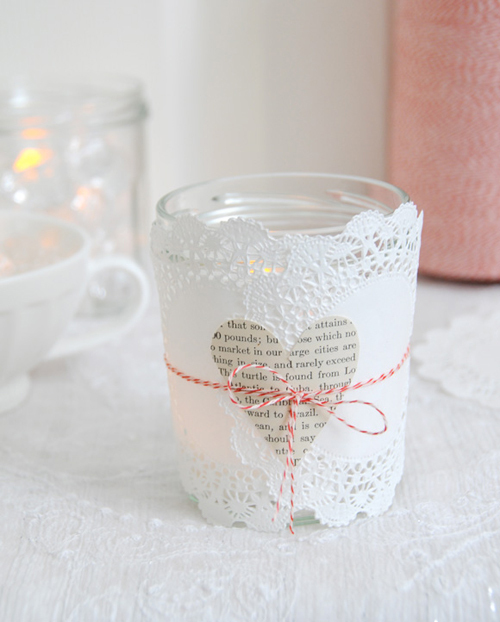 These lovely valentine luminaries are not that difficult to make. You can find full instructions on Creature Comforts. A great diy project! How in the world can I be bitter about V-Day when you put up pictures of beautiful V-day decor like this? I love it!! Wow! This one is nice! Happy weekend. This is adorable! Thanks for posting! Lovely, great idea. Happy weekend!